With the advent of better weather in most parts of the US, it’s time to think about hitting the road for some wine tasting. This article is required reading prior to your trip; with three wonderful, but different products you might want to take along. After a day of wine tasting, most travelers can’t wait to get back to the hotel and pop the cork on one of their newly acquired bottles…maybe two. Downside is that after a day of wine tasting, you may not want to finish the entire bottle(s) you opened. That’s where PlatyPreserve comes in. 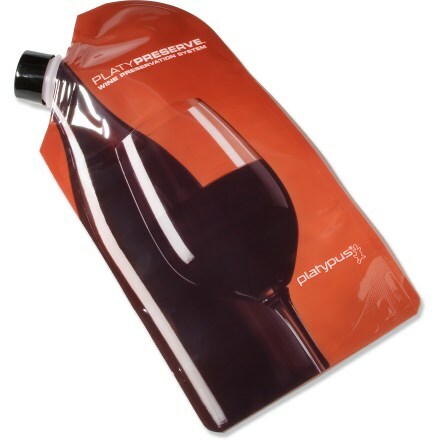 PlatyPreserve is an 800ml plastic bag that will hold a full bottle of wine after you uncork the original bottle. Not only will it hold the remainder, it also allows you to completely expel all air from the container while sealing it. This effectively lets you preserve your wine as close to unopened as possible for weeks. By squeezing out the air as you drink each glass, PlatyPreserve actually keeps less air in the container that even the best vacuum seal system available…and this is so much easier. When you are done, rinse and repeat. It’s reusable. You can even stow it in your backpack if your are hiking. Special note: PlatyPreserve is brought to you by the same people bringing you the SealLine of kayaking dry bags, so they know something about keeping things water tight. 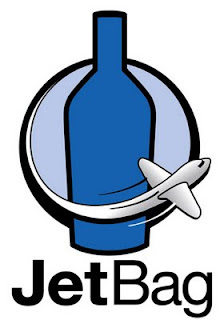 The JetBag is for those of you who have to wait to get home before opening your wine; like those catching a plane with two or three bottles that need to go in your checked luggage. Everyone’s private nightmare is that a heavy-handed baggage agent will drop kick your luggage off the belt on the way up to the plane, and your broken wine bottle will stain everything in your bag. The JetBag is a padded bag with a durable ziplock seal. Putting your wine inside offers some padding and an absorbent lining in case the unthinkable happens. If your wine is inserted in a JetBag before you pack it in your suitcase, you can sleep easy (provided you can sleep at all on a plane) knowing that even if the worst happens, all that wine will still be safely sealed and absorbed inside the JetBag – nothing on your clothes or electronics. Watch this short video of some dastardly soul smashing a perfectly good bottle of wine with a baseball bat. Provided your wine makes it home safely, which it probably will, the JetBags are reusable over and over. Buy them online here. You can feel good purchasing them as they are biodegradeable and made in the USA. 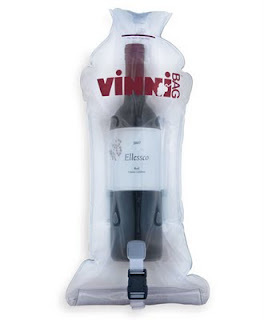 The VinniBag is probably the ultimate protection for your bottle of wine. With a dual layer of air-cell protection, nothing is going to break once placed inside. It’s actually two inflated chambers, one inside the other that give your precious cargo the best shock protection available. If your bag was dropped, tossed or beat with a forklift, those dual air chambers will really come in handy. With the dual sealing system, the bag is completely sealed against leakage as well. Not only will the VinniBag work for wine, their website gives examples of using it to protect fragile china pieces, cups and saucers, etc. If it fits, it’s protected. Watch their video for some rather compelling footage of luggage being manhandled. If it “Absolutely, positively has to get there,” forget Fed-Ex, you need VinniBag. And by the way, it doubles as a travel pillow or a lumbar support when you aren’t traveling. How thoughtful! Order them online at VinniBag.com.